On any given day, Frank McDonough Park in Lighthouse Point, Fla., is a busy place. Exercise boot camps dominate the grounds at sunrise. Toddlers arrive a little later to scamper around the pint-sized playground while parents supervise from nearby benches. Afternoons and evenings are filled with the shouts and cheers of soccer and flag-football games. On weekends, there might be impromptu basketball games, families gathering for sunset picnic dinners by a gnarled banyan tree, or festivals filled with music, face-painting and country line dancing. 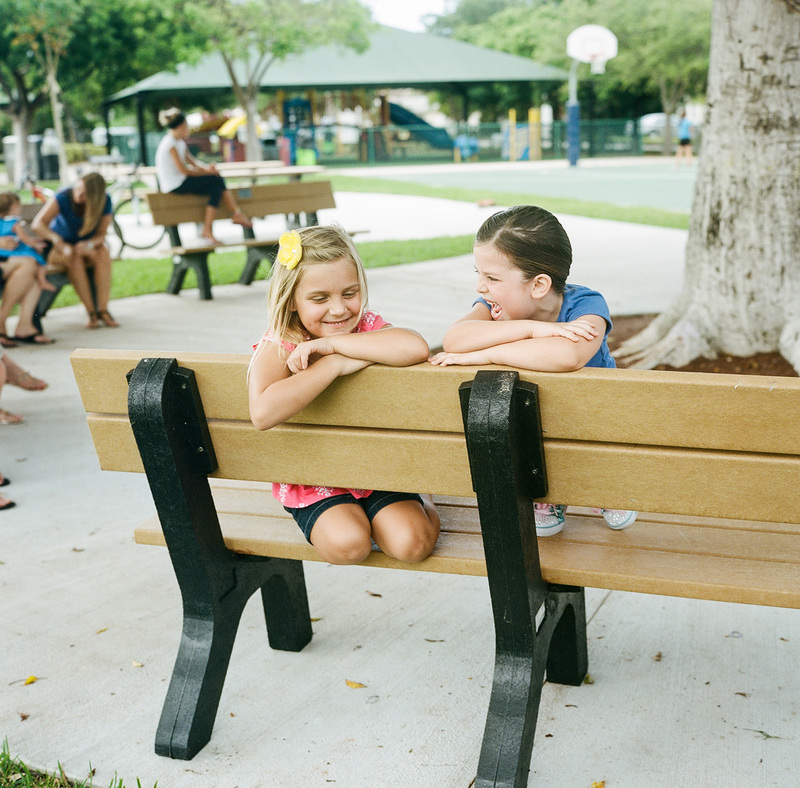 The park is a source of pride in a southern Florida community that values and nurtures its small town charm. “A lot of people like to say that Lighthouse Point is the ‘Mayberry’ of South Florida,” said Becky Lysengen, the city’s recreation director and a former commissioner. Punctuated by picturesque waterways and tree-lined cul-de-sacs, the town of 12,000 was named after a historic lighthouse built in 1906 to guide vessels through the Florida Straits to the Gulf of Mexico. When the town began preparations for its 60th anniversary in 2016, it seemed fitting for its flagship park to play an important role, notes Mayor Glenn Troast. Aware that more young families have moved to the area in recent years, Troast challenged his staff, local business leaders, and community members to come up with ways to make the park an even better gathering spot. They rose to the challenge. Residents launched Playground 2015, a fundraising campaign to upgrade the park’s equipment and play areas. Local businesses donated money and materials. Old sand was removed from the play areas. Water fountains and sidewalk paths were added. And a special touch: benches made out of recycled foam cups were placed around the beloved banyan tree to serve as a shaded gathering place for parents and kids using the nearby play areas. The seven benches, along with three picnic tables, were donated by Chick-fil-A of Pompano Beach. Seth Poor, the owner of Chick-fil-A Pompano Beach, who lives just two miles from McDonough Park, said he was inspired to help after hearing about the Playground 2015 campaign from his customers. “It generated quite a buzz in the community, and it got me thinking,” Poor recalled. Poor approached the Lighthouse Point City Council about donating the benches to Frank McDonough Park as part of the refurbishment effort. “They were more than happy to take them,” he said. For Poor, it was a chance to give back to the park and people he loves. Some of his favorite things about the town? The annual Fall Hoedown and the holiday extravaganza Lighthouse A’Glow, where he sells chicken sandwiches and cold drinks, then donates a portion of the proceeds back to the city. Parents swing by his restaurant on their way home from sports practice for a quick bite or a celebratory milkshake. And Poor runs into his neighbors-turned-customers regularly at the grocery store, bowling alley and other local hubs. “South Florida is a big place. I have 100,000 residents within a 3-mile radius of my restaurant,” he noted. What Poor loves most about Lighthouse Point is its ability to maintain a cozy feel within such a big metropolitan area. “To be able to help perpetuate that small-town community vibe … is fantastic,” he said. 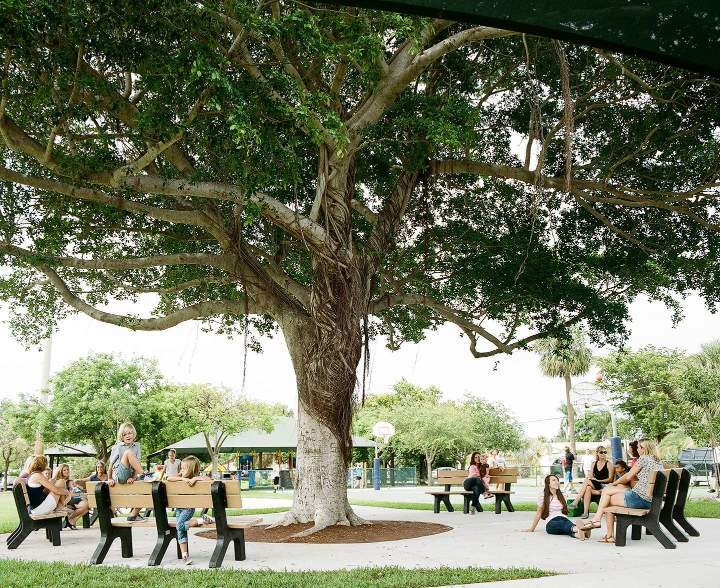 For residents like Jennifer Klee, the Chick-fil-A benches serve as a place to relax under the shade of the banyan tree to watch her two young daughters play soccer and climb the playground. “Big trees like this one are becoming rare in South Florida after all the hurricanes we’ve been through,” she said. Lysengen agreed. She remembers playing near the banyan tree as a kid. The recreation director moved to Lighthouse Point as a fifth grader and has fond memories of pickup basketball and other sports hosted at the park, formerly known as Lake Placid Park. And so under a great tree, Mayberry lives on.